Incase you missed it, here is a transcript of Tim Yeo, Chairman of the Energy and Climate Change select committee, discussing the upcoming inquiry into Price Comparison Websites. Winifred Robinson: MPs are going to investigate comparison websites, the ones that offer to help you switch your energy supplier. 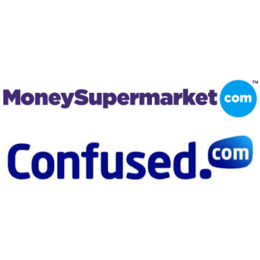 It's a market that's dominated by a few big companies and they run big advertising campaigns on the telly, including uSwitch, Money Supermarket, Go Compare and Confused.com. They've been accused recently of hiding the best deals from their customers. Tim Yeo MP chairs the Energy and Climate Change committee and it's going to lead this investigation. 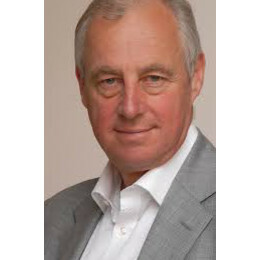 Tim Yeo welcome to You and Yours, what is your main worry here? Tim Yeo: Our worry is that we've received extremely serious reports that consumers who are using these sites in order to try and find a better tariff for electricity or gas or combined are not being told that the sites themselves are earning commission from the switches that may result. And even more seriously than that, although that's pretty serious in our view, that they may not always be showing all the best deals, these sites may show to consumers who access them only those new tariffs on which they would earn a commission. Winifred Robinson: Well that was certainly the accusation at a certain point in time, but a number of these websites claim that has now been put right, made more straightforward. So who will you be calling to give evidence? 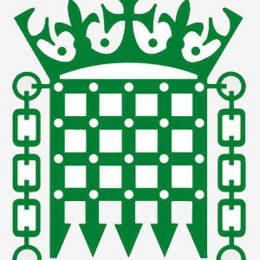 Tim Yeo: We shall be calling the sites themselves, my committee adopts a very much evidence based approach, so we haven't any idea what our conclusions from this inquiry will be, but we do think the evidence we have received so far is sufficiently serious to justify oral evidence being taken as well as written evidence which we've called for last week. Oral evidence is being taken directly from the sites and if they have changed their practices they can tell us about that, it may well be that they decide to change them in advance of coming to meet us, that's happened in the past, we had considerable success when we found energy companies doing doorstep selling to consumers and perhaps misleading consumers then, that practice stopped pretty soon after we started to investigate it. So hopefully the mere announcement of the inquiry will improve practice. Winifred Robinson: The regulator Ofgem has said that these sites must be transparent about the fact that they are earning a commission, but doesn't compel them to reveal how much they are making, on the basis that would undermine some of the business models and that without these companies the public would be the poorer. Do you think that's fair? Tim Yeo: No I don't, I think that's important that there should be complete transparency. We have at the moment a situation where there's really is no trust from consumers in dealing with energy companies and if we find that the comparison sites, which have represented themselves as being neutral, objective advisers to consumers, if we find they're earning varying amounts of commission I think it's absolutely essential that all those sites should disclose, to people who use them, exactly how much commission they earn from any particular transaction. Winifred Robinson: We're constantly told the best way to save money on energy bills is to switch, but only a third of people have ever done it. What do you think is stopping us? Tim Yeo: I think the processes are rather a confusing one for many people and therefore they're rather daunted about embarking on it. I think until very recently the number of tariffs available was so large it was actually quite confusing for people sometimes, the energy companies are trying to simplify that a bit, which is good. But we believe that it is important people should switch, they should have the opportunity to do so, it should be encouraged to do so, the existence of switching as a facility does itself impose competition on energy suppliers, that's a good thing, but if we have a situation now where people start to lose trust in these sites because of a lack of transparency in their operations that would damage the whole process and be bad for the market and bad for consumers. Winifred Robinson: Tim Yeo thank you very much.